Hot Chocolate with Marshmallow, Glühwein, and some nice bites like gingerbread and chocolate... and the Thomas Wessels Quantet jazzing up the day! 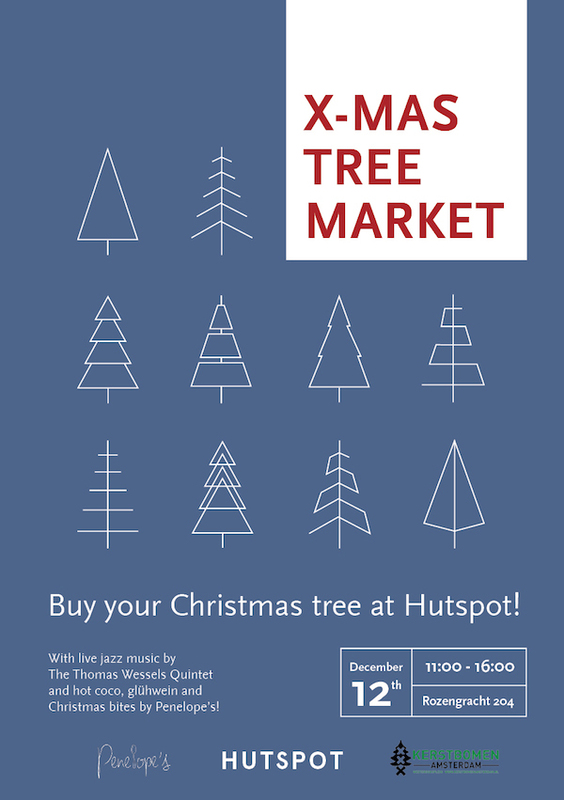 Hutspot is ready for Christmas and organizes a Christmas Tree Market, on December12 at the garden of Hutspot Rozengracht. They teamed up with Kerstbomen Amsterdam and will sell the most beautiful trees during the Christmas tree market, and of course there are plenty of Christmas gifts to find at Hutspot!